This event is FREE to all Walnut Creek Chamber Members; please remember to bring your business card. Non-member admission is $20.00 [cash only] and a business card. 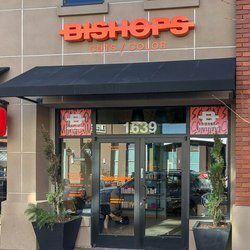 Our February BASH is hosted by Bishops Cut / Color Walnut Creek on Thursday, February 28th from 5:30 p.m. to 7:00 p.m. Our hosts have a wonderful BASH planned, so we hope to see you there!